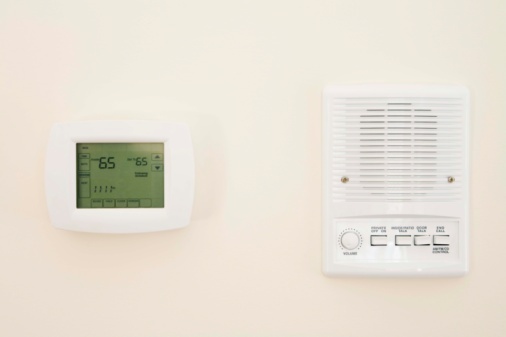 If you use a manual thermostat to control the temperature in your home or business, you have to pay attention to people's shifting preferences. You also must remember to shut off the thermostat when the building is empty, to avoid wasting energy, such as over the weekend at an office, or while the family is on vacation. With a programmable thermostat, such as one made by Honeywell, you can program it to turn on and off according to your schedule. 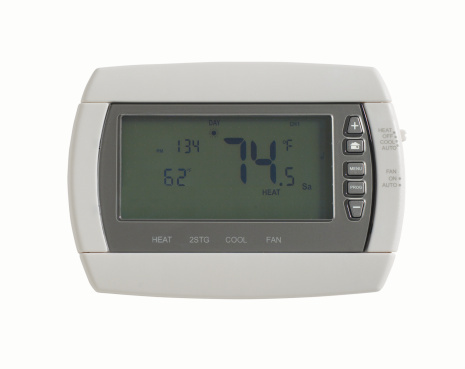 If you want to change the program, or if the display doesn't turn on, you can easily reset a Honeywell programmable thermostat. Set the thermostat switch to "Off." Insert a coin into the slot on the battery door to push it open. Insert the batteries backward, so that the negative pole lines up with the positive terminal. Leave the batteries placed backward for at least five seconds. Remove the batteries and put them back in the correct way, then close the battery door. The display will turn on. The thermostat is now reset.